So after all the fun and frolics of the last half a year (yes, where did that go?) it was August. And that could only mean one thing. The Countdown to Disney was ON! 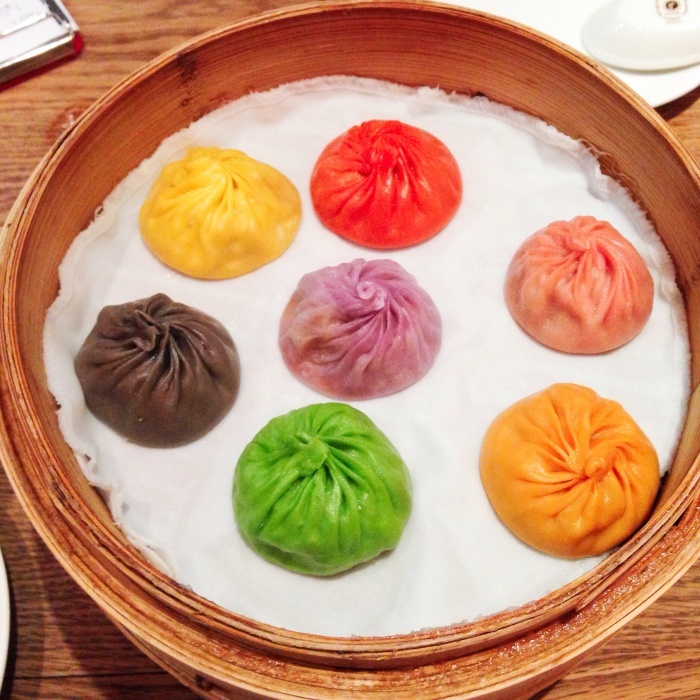 I ate my first amazing technicolour dumplings. They tasted as delicious as they looked. 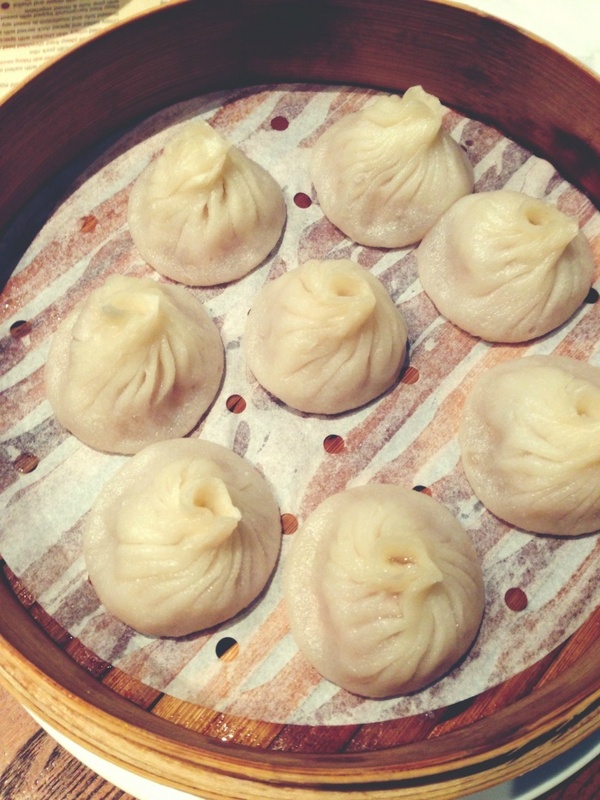 You can eat the dumplings of the rainbow for a limited time (until 30 September) at Din Tai Fung, World Square. Run don’t walk people! I finally got to meet the lovely Trish from My Little Drummer Boys. 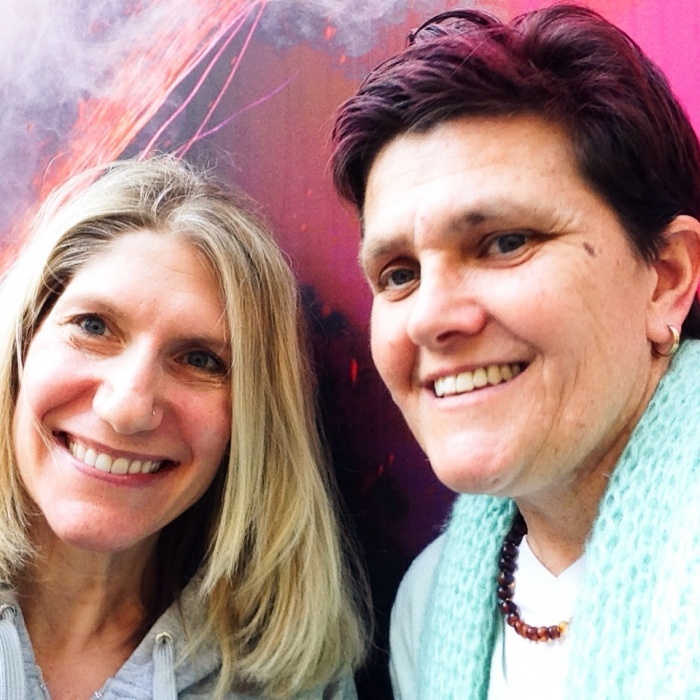 She was in town because she is all kinds of awesome and she ran the City to Surf. She is even more inspiring in real life than she is on the interwebs and that’s saying something. 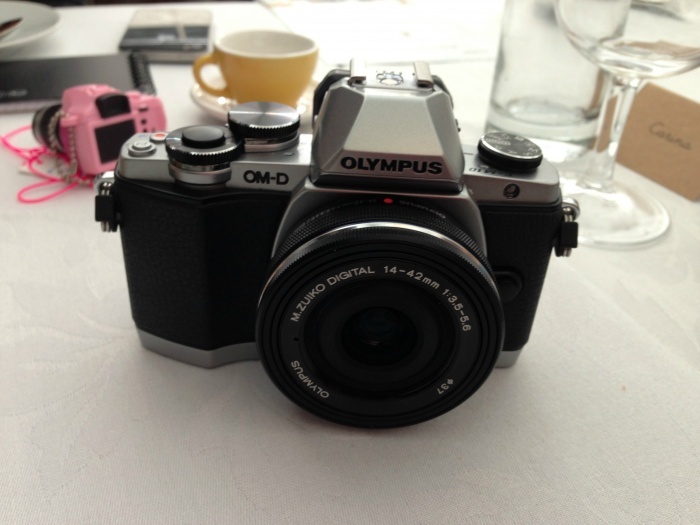 After months of deliberation, we finally bought a camera, the Olympus EM-10. Remember that one time when I was a lady that lunched with Chantelle, well just between you and me, I’ve been loving that camera sick ever since. I can’t believe I’ve finally got a big girl’s camera. Buying it is easy, learning to use it might be a bit more tricky. I’ve been training hard for Disney. I spent the month throwing weights around, getting bored out of my mind on cardio machines and running rings round Sydney. It will all be worth it in the end. In the meantime, this view made it more than worth it. I also signed up for the Clever Cookie School of Blog and to say that I am a little bit excited would be a gross understatement. It’s the brainchild of Chantelle from Fat Mum Slim and Rowe, and when it comes to blogology, there’s no one I’d rather learn from. The fun starts while I am on tour, which will bring a whole new meaning to the term global learning. We were back in the Meatless Monday groove. 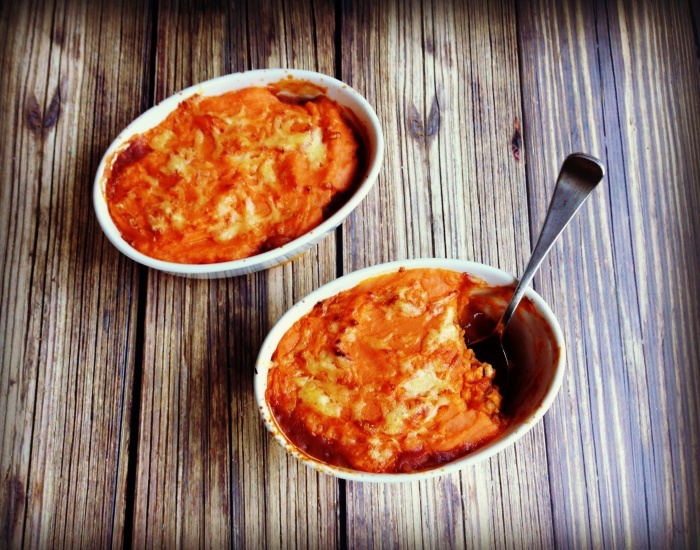 This Veggie Shepherd’s Pie was a big hit in our house and that golden mash is the tops! I put my time to good use in the kitchen and baked up a storm. 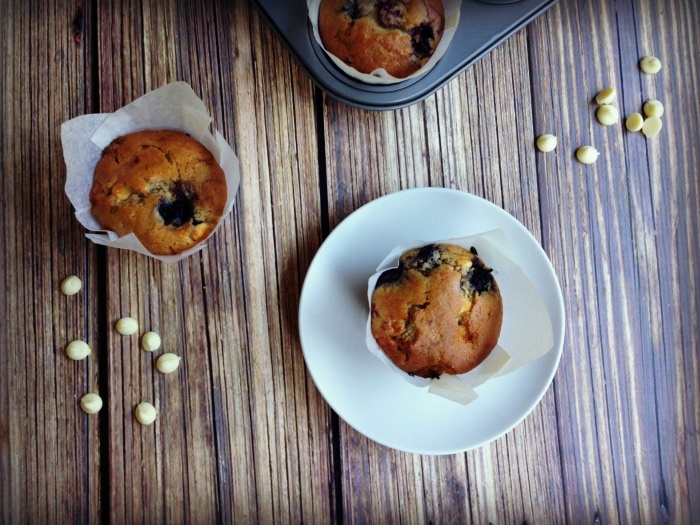 These Berry and White Chocolate Muffins always go down a treat. David loves them right down to the every last choc bit. He’s a tough critic but his seal of approval shows that these muffins are worth loving! Time moved by so fast this month and before we knew it, it was nearly Disney o’clock! 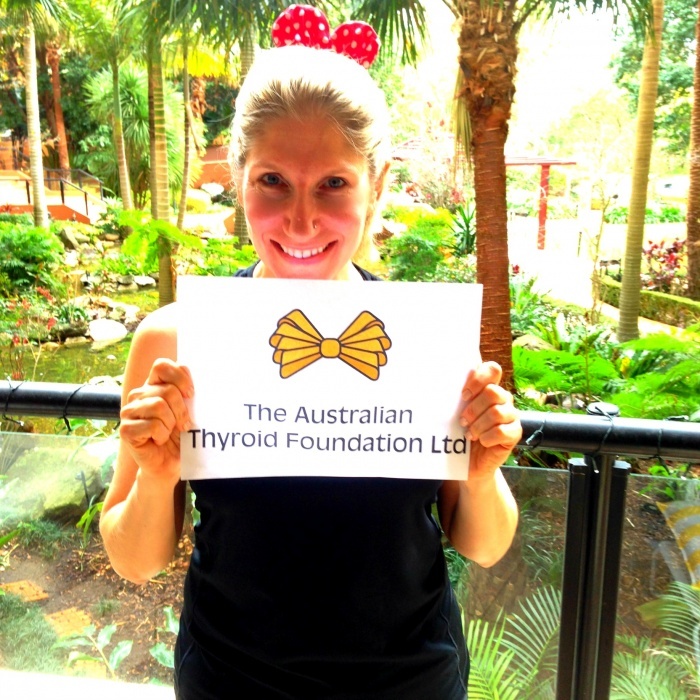 I counted the days, counted the kilometres and counted the money we raised for the Australian Thyroid Foundation here. A massive shout out and high five to everyone who helped me put the fun into fundraising. To date we have raised $2327 and I am thankful for every single penny! As if all that was exciting enough, I was also nominated for the Liebster award by Jim and Christina from Mr and Mrs Romance. 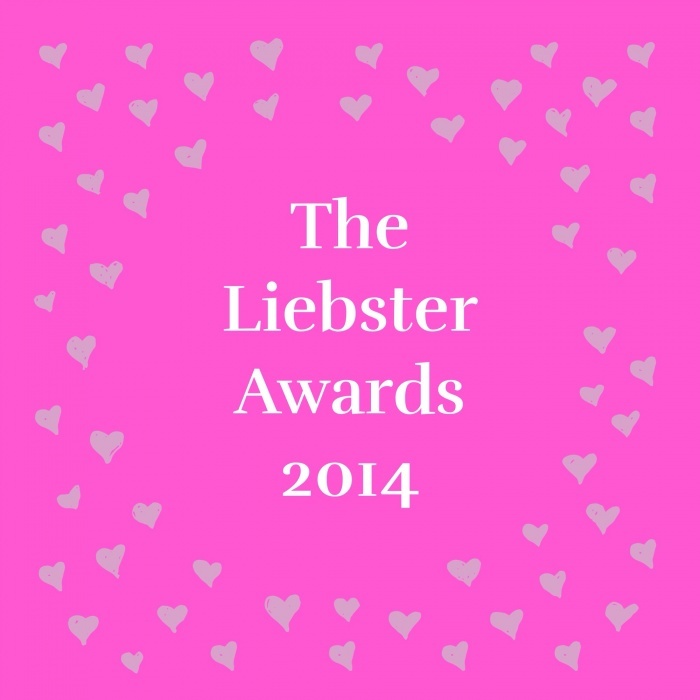 The Liebster is a virtual blogging award given to bloggers by bloggers and I was chuffed to bits to get it I can tell you. Jim and Christina set me 10 totally rad questions to answer and in turn, I passed the bloggy love on to 10 other bloggers with a new set of questions to answer. It was tons of fun. Isn’t it funny how when you go on holiday you spend the preceding weeks and days madly catching up with your friends and family? Or are we the only nut jobs that do that?! Anyone would think that we were never coming back, the amount of social engagements we’ve been enjoying! 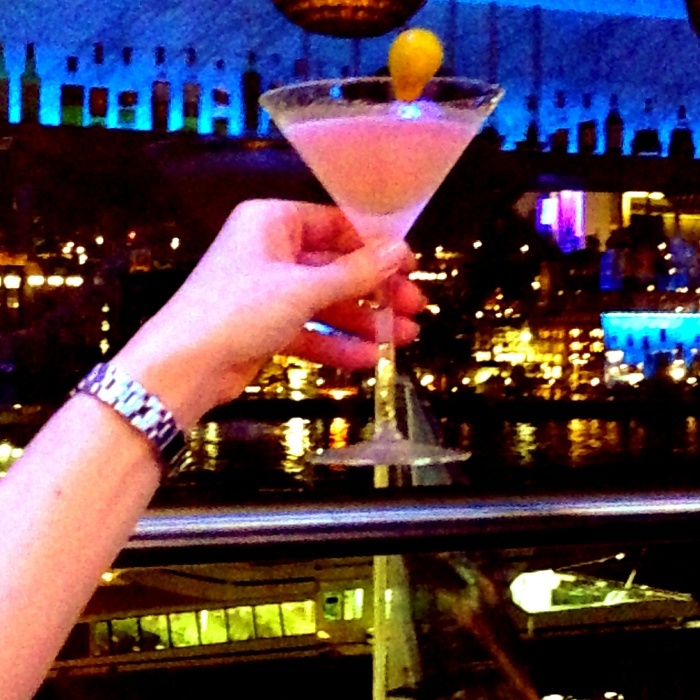 We had a great night at the ECQ Bar overlooking Circular Quay. I think it’s one of Sydney’s best kept secrets (only it’s not a secret now because I’ve just told everyone on the interwebs,) but anyways, it’s a great place to hang out with a cocktail and check out the night view. Oh and of course, there was carb loading, which can only mean one thing. More dumplings! And lots of them! I was super excited to receive my uncle’s new books hot off the press and signed inside. Did you notice the plural “s”? 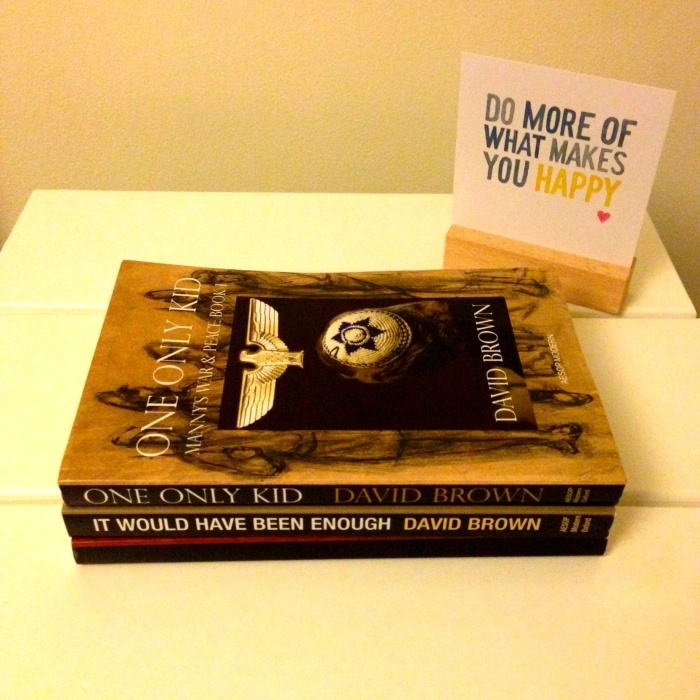 Yes, he’s written another two books which brings his total to 3. I’m getting quite a collection of his work. I’m even prouder of him than I was before. I love seeing someone doing what they love and love doing what they do. My uncle is proof that you’re never too old to live the dream. Then, before we knew it, it was time to take off to the Happiest Place on Earth, Disneyland. I popped my Disneyland cherry and all I can say is, it’s like everything I imagined it would be, only better. 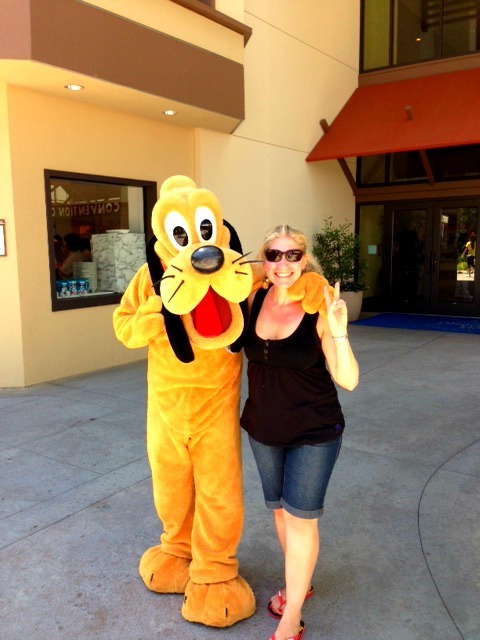 Of course, that’s a whole other blog post, but in the meantime, here I am with one of my new friends. 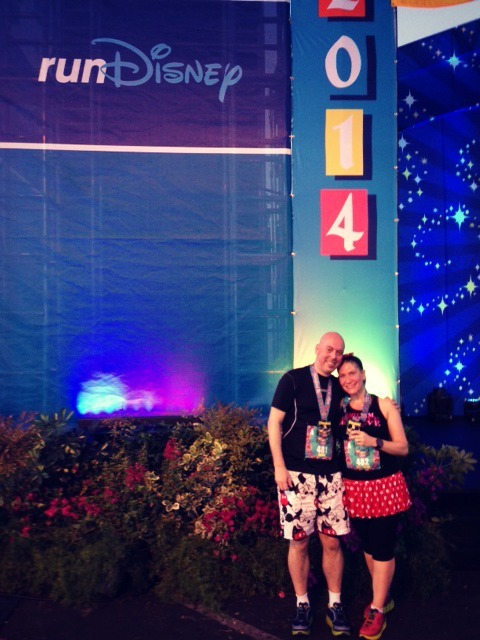 I crossed a couple more things off my 101 things in 1001 days list when I ran the Disney 5k with David and I ran in costume (in fact, we both did.) It was the happiest 5k I’ve ever run in my favourite place with my favourite person. 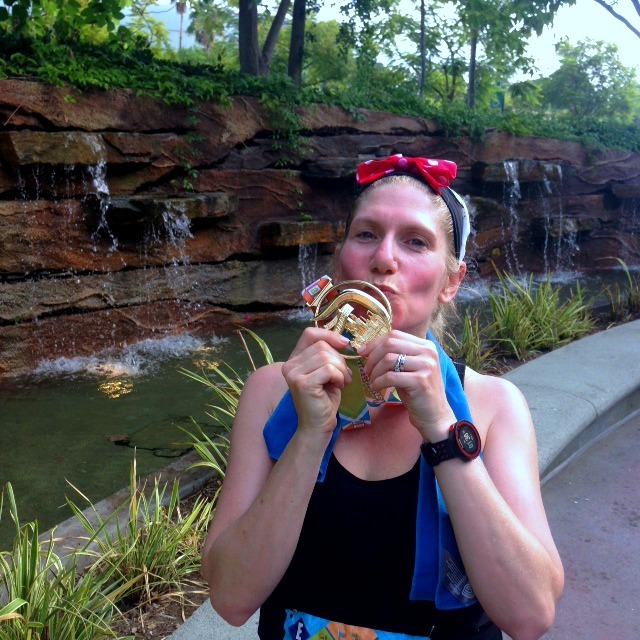 It’s about as much fun as running can get. It may not be the best picture but let me tell you, it was the best feeling. 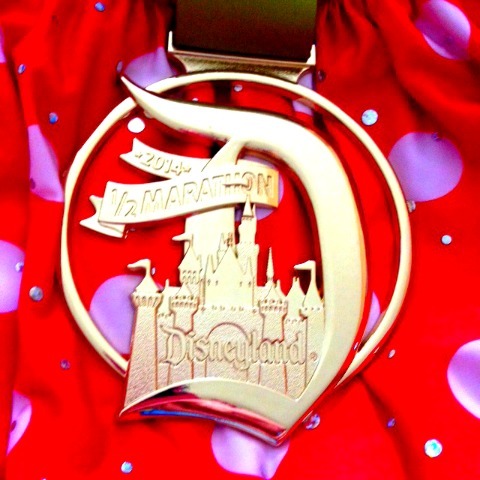 Disney bling is quite the thing, don’t ya think? August was so awesome, it’s going to be hard to beat but I hope September will be just as sweet. Tell me what was awesome about your August? 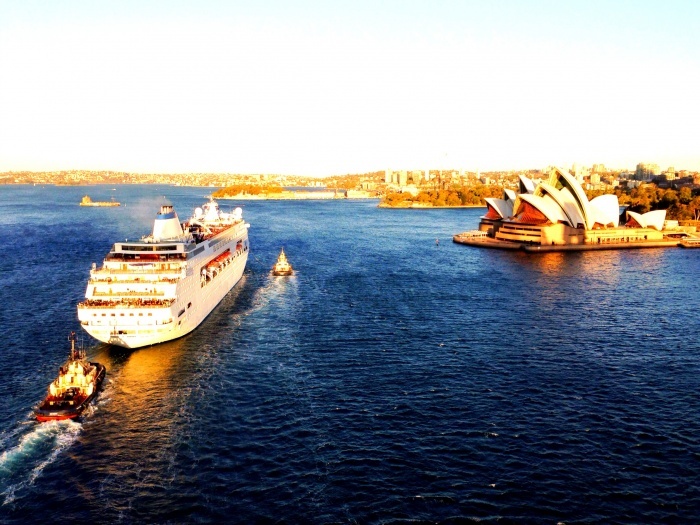 What will make your September be spectacular?